4 Blemished Available: From $47.99 This item is available as a Blem/Refurb. These are items that cannot be sold as "New" merchandise and are limited to stock on hand. See the product details for a description of the product's condition. 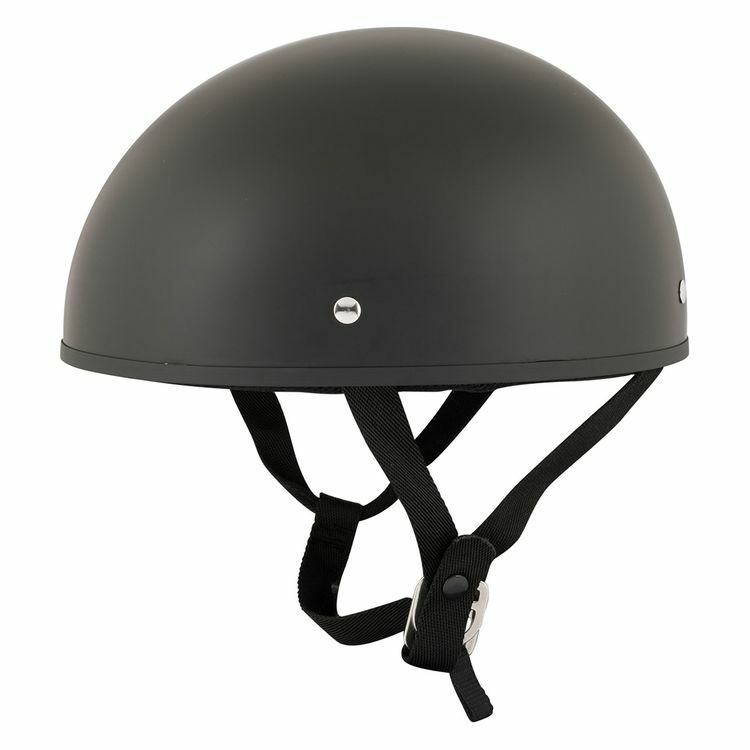 The Street & Steel Mulholland Helmet is a great choice for riders looking for that classic no-frills look. The shell is made of a lightweight thermo-plastic alloy and inside you will find a moisture wicking comfort liner. This helmet is fantastic. It fits right and feels good. Straps are narrow enough to not cause any wind whistle. Its light but sturdy. Super comfortable. Cant get much better for the price and style. What's the difference between the Mulhall and and the ssg 10 helmets they look like the same ones? Is this a round pot sort of helmet, or would it be comfortable for someone with more of an Oval head? Can this helmet have communication attached to it?